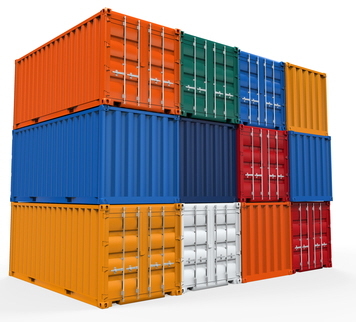 Australian transport and logistics companies specialising in the cartage of shipping containers can now enjoy rapid implementation of a new Freight2020 transport management system with Freight2020 Container Freight software. 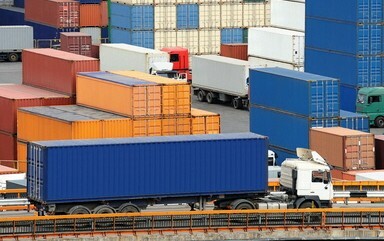 “Over the years of Freight2020 development and implementations we were noticing that container carriers tend to use common journey legs and zones for their customised calculation of ratings,” said Rob Mullins, managing director of CMS Transport Systems.“For example, all operators in the same capital city will typically pick up from the same port facilities and deliver empty containers to the same set of container storage yards for de-hiring. These general similarities allowed us to offer a much faster implementation pathway for Freight2020 whenever the Container Freight version of Operations Management is central to the new system,” Rob said. Container Freight Management is one of seven specialised configurations of Freight2020 Operations Management, which include Contract Logistics, Earthmoving, Energy Distribution, General Freight, Heavy Haulage, and Livestock Transport. Freight2020 Operations Management can be combined with other management modules and interactivity options for a fully-integrated transport system. Superbly coupled with a live interface to 1-Stop Voyage and Vessel data, Freight2020 Container Freight Management makes light work of the management of container collection and delivery locations; slot-time management; rating management; container stage alerts and reminders (de-hire, empty-collect, etc); interlinked journey legs; driver allocations; vehicle allocations; fees, levies, demurrage management; de-hiring; manifesting; invoicing, and much more. As a modular system, advanced features and extended functions can be configured and implemented from the beginning or added to your Freight2020 system at any time down the track. Freight2020 Driver Mobility can allow drivers to interact with live bookings data by using a common mobile device. Auto-Email Notifications can be configured to issue real-time alerts about container pickup, delivery and de-hiring events automatically. Additionally, the custom-branded Freight2020 Online Customer Portal can provide freight customers with self-service access to real-time track-and-trace and detailed account information. Demonstrations of Freight2020 Container Freight Management can include sample consignment notes and container-related booking information from your own organisation to reflect real-life, everyday scenarios for test-driving the system. The submission of sample paperwork is invited during the pre-demo coordination process. The demonstration itself can take 1-2 hours depending on the number of modules and optional features being reviewed. There is no obligation and transport and logistics companies can feel free to explore the power of Freight2020 first-hand.